Thanks to Fuse #8’s list of the Top 100 Children’s Novels, I had an especially delightful class with my 6th grade students yesterday. This is a group of eight very enthusiastic and avid readers so I knew they would enjoy looking at the list and counting (somewhat competitively) how many they had read. I copied the list of 100 titles for each student and then saved a few minutes at the end of class to share it with them. Okay, I lost a bit of control at that point. The next few minutes were somewhat chaotic as they checked-off, gave recommendations to their friends and compared totals. After a few minutes, I just sat back and let them go because it struck me how truly amazing the scene was. The students were in a “zone” over a list of books. They were asking friends what to read next, asking me for recommendations and suggesting that by the end of the summer, they would have read any title they had missed. I have to say that it was wonderful. Like many of my colleagues in the children’s book blogging world, I’ve been following Fuse #8 closely for the past few months. Fuse #8 is written by Elizabeth Bird, the best and most well-known of the bloggers about children’s books. She is a children’s librarian at the Children’s Center at 42nd Street of the New York Public Library system and has served on the Newbery Award committee. 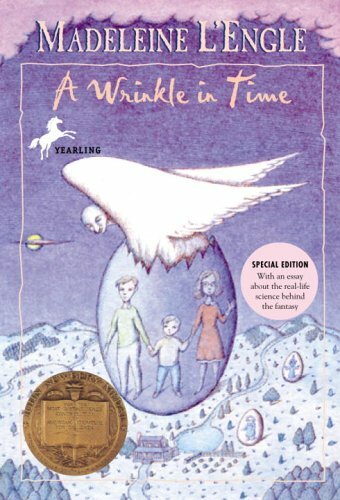 I have been looking at a list of the Top 100 Children’s Fiction Chapter Books compiled by the most well-known children’s literature blogger, Fuse # 8. ( Fuse # 8’s blog appears on the School Library Journal web site). And, it occurred to me that this quote applies to every book on the list. 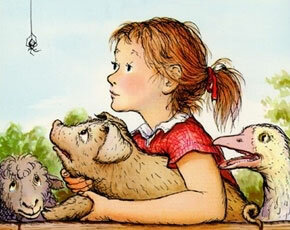 Think about why kids still read: The BFG , Charlotte’s Web, The Giver and A Wrinkle in Time, to name 4 out of 100. Inexhaustible is the best word to describe them. When Fern asks” Where’s Papa going with that ax?” the scene is urgent. I hear kids talk about how funny Roald Dahl is every day. Older students understand that The Giver is asking them hard questions about their own lives. 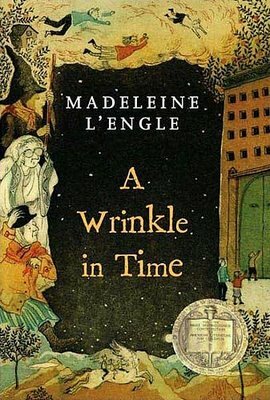 And Meg Murray is alive for every child who has read A Wrinkle in Time. For the kids who love them, these books are in “the present tense” regardless of their publication date.